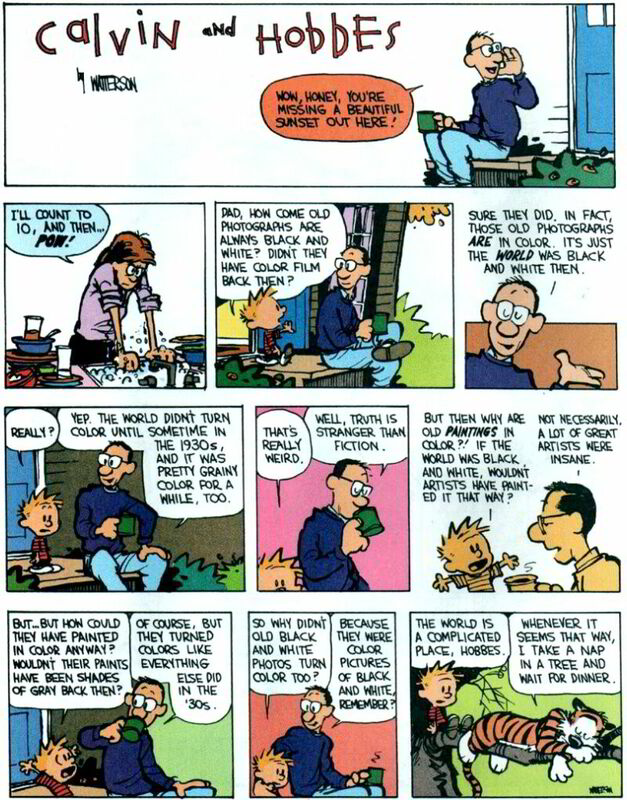 This is by far my favorite Calvin and Hobbes comic strip. I just love the idea of a black and white world and have messed with many young kids using this same exact logic since. I even plan on using it on my own kids. It is just so wonderfully ingenious.